Tina Greene can't accept the surfing death of her husband Hank without a recovered body. Months after signing the death certificate, she pulls herself from the emotional wreckage and trades mourning for saving her Maui dive shop from bankruptcy. When war hero, Jamey Dunn, walks back into Tina's life, things take a strange turn. Lifelike dreams have the dive instructor questioning her sanity and leaning heavily on Hank's best friend, Noble. Jamey and Noble clash at every turn, both desperate to help Tina. When the dreams uncover clues to Hank's disappearance, Jamey must reveal his strange ability to enter dreams. But for Tina, trusting the man who betrayed her years before, doesn't come easily, and the decision to let Jamey enter her subconscious has a price she isn't sure she can pay. As Noble, Tina and Jamey get closer to solving the mystery of Hank's disappearance, grave danger sets in to reveal that one person is flirting with insanity, one is a traitor, and one is a traitor. I had a harder time getting pulled into this book than I thought I would. I'm not sure that it was the book as much as it was me. Sometimes I have a hard time finding my groove with a book (for lack of better wording). What's even more frustrating to me is when this happens with a good book. 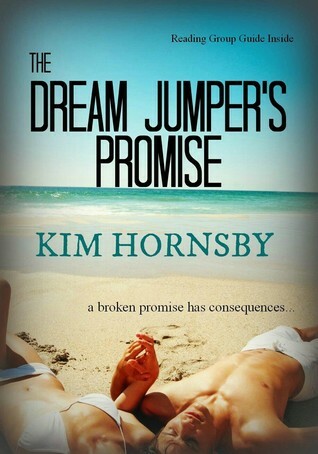 That's the case for The Dream Jumper's Promise. It's a good book and I thoroughly enjoyed reading it but it took me nearly half the book to get fully sucked in. All of that aside, I was so impressed with this book. There's so much about this book that I loved. The writing, the characters, the descriptions of Hawaii, the storyline. None of that could compare to the twists at the end, though! The ending is what made this book. Not only did I not figure out the ending, but it was done in such a way that was believable. I definitely recommend this book. Even if you aren't big into paranormal books, you should give this one a shot (it's that impressive to me). While the paranormal aspects of the book are a major key player in the story, it's done well without "ruining" the romance part of the book.